Walter Butler Cheadle (1835–1910) accompanied Milton on a journey across Canada in 1862–63. They crossed the Rocky Mountains through Yellowhead Pass, almost starved in the North Thompson Country, and eventually straggled into Kamloops. They visited the Cariboo gold fields before returning to England by ship from Victoria. Cheadle, the older and more resourceful of the two, assumed most of the responsibility for their journey. He spelled out their story in two books, Journal of a Trip across Canada and The North West Passage by Land, which has gone through ten editions. In 1865, Cheadle resumed medical practice in London, and married in the following year. 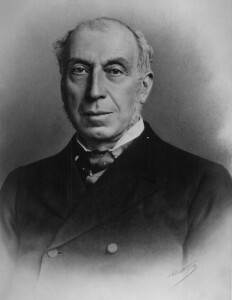 He met with great success in his career, and served as dean of St. Mary’s Medical School from 1869 to 1873. In the face of much opposition, he stood among the early supporters of women’s claims to a right to practice medicine.